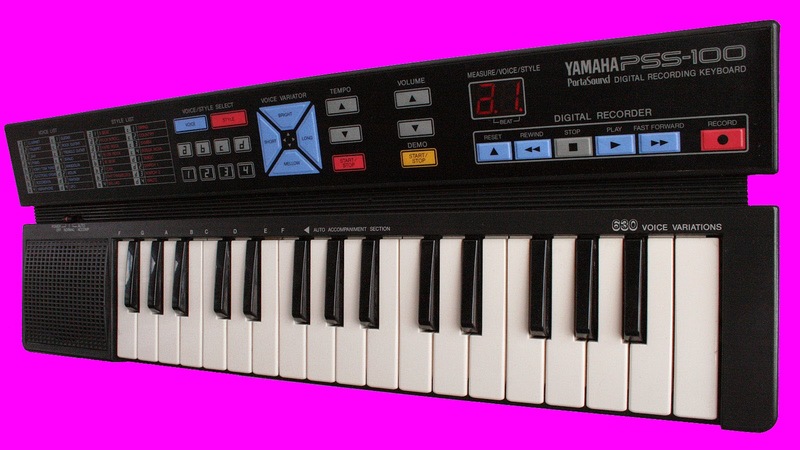 Yamaha PSS-100 the number one blip blop chiptune/home keyboard? Sounds like an old Atari ST chiptune with build in drumbeats and adjustable sounds. There is no audio out so do like me and attach a cable to the speeker out cables and you are ready to go :p you cant make your own sounds but change them with the blue triangle buttons..